Black hole hunter finds quarry! 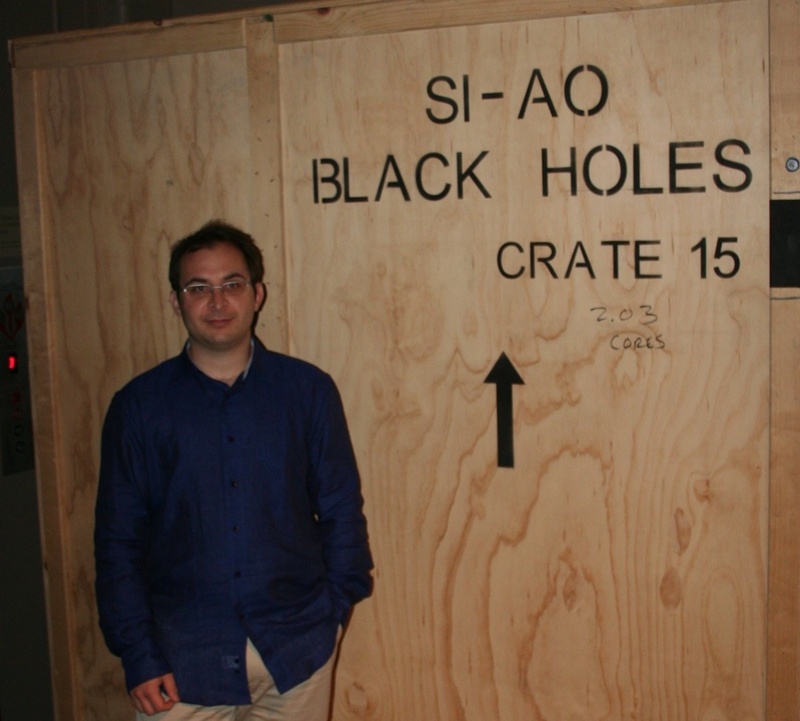 The care and feeding of black holes in galaxies has been a major focus of Zookeeper Kevin’s work. Checking his research publications shows at least a dozen journal papers dealing with black holes, whether seen actively accreting and shining as active galactic nuclei, or lurking quietly in less spectacular galaxies. Now I can reveal that, thanks to new technology, black hole hunting has become dramatically easier. Witness this documentation from a site visit – only one building over from Kevin’s office. I didn’t see what kind of delivery vehicle this needed. Interesting that they all seem to share a preferred orientation.